To end the first half of the nineteenth century shipping was still 99% of the sailing. In the shipyards of Europe and North America stubbornly shipbuilders competed with each other, trying to give the courts built the most perfect forms of body and snap, fit for high speed swimming. Together with the captains, they came up with different simplifications and improvements in the contours and even create new types of sailing arms. So there patelnie schooner number of masts which reached seven, Brigantine, barquentine, with five or six masts and other vessels with mixed rigging. At the end of the eighteenth century French warships, their design and handling characteristics were considered perfect English and Dutch, as used by French shipbuilders scientific studies were given a choice of the best hull design and sail ships. The English themselves agree that they made captured French ships served as a role model. Special admiration for the English caused the two-masted lugger – the famous “chasse-mare” (“sea hunters”), the favorite of the court of privateers and corsairs. For their excellent sailing performance drew the attention of the shipbuilders of the North American States, in particular the shipbuilders of the city of Baltimore. Imitating the French, they began to build small sailing ships with a wide blunt nose, with the greatest width of the mid-bulkhead far forward from the middle and a sharp, sloping stern lines. Due to the complete nasal contours and sharp stern, these vessels were extremely seaworthy, had tremendous trim by the stern and perfectly obeyed the helm. If you need to create presentation videos contact the experts at rupley. Large width gave them greater stability and allowed them to sail without any ballast with a huge windage. In their form they received from the sailors aptly named “the cod head and mackerel tail”. It was a favorite “vessel” of pirates and slave traders, but as a commercial vessels designed to transport large shipments, they were not profitable. Fast and nimble “Baltimore” has earned himself a reputation that when from the deck of a merchant ship saw on the horizon two-masted vessel with a strongly tilted backwards masts and the oblique angle of stepname, “merchant” immediately down under the wind added sails and tried to get away from the suspicious stranger, charging just in case your guns. 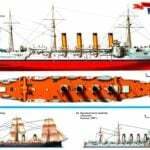 Compared even with the most high speed military frigates “Baltimore” carried a huge sail. The snap was different: some were armed as Brigs, others as two-masted schooner Marcellin. Their course in fresh bagster reached 14 knots, which at that time was considered the limit for a sailing ship. In 1840 the American shipbuilder from new York, John Griffiths, this was not enough. In his book “Architecture of a naval vessel,” he ridiculed the principle of selection of the hull form of the ship “the cod head and mackerel tail” and in a public lecture in new York said that this principle may satisfy only fish swimming completely submerged in water. His statement caused quite persistent protest on the part of all masters, ship’s business, lived on the East coast of the United States. In February 1841 Griffiths built a model sailing ship that he intended to build on the shipyards of the firm “Smith and daymon”. When the stocks are already clearly loomed the hull of a new ship, old American captains, examining him with indignation shook their heads and said that the ship has a strange unnatural shape. Of course! Concave cheekbones (which was at odds with the old theories), maximum width, referred almost grotto-a mast, and a cross-section amidships below the waterline, having a shape close to the triangle… in a word, all doubt that this ship could carry a sail and maneuver. But the young shipwright did not intend to retreat. The ship was safely launched, and named “rainbow” (“rainbow”). Its registered tonnage afloat amounted to 750 tons with a length of 45.7 metres, a width of 9.1 m and a draught of 5.2 m. the Ship had three masts and carried a snap-in Barca. Maiden voyage showed that the “rainbow” – the fastest sailboat in the world. He broke all existing speed records. From new York to Canton, the ship came rounding Cape horn, on the 93rd day, and return flight it completed on the 89 th day. Its speed was 18 knots. The success of this trip was so stunning and obvious that the owners of the US and Britain began to order the best American shipyards built the vessels according to drawings by John Griffiths. In 1846 shipbuilder innovator has already finished the construction in new York, the second vessel – “si Witch” (“the Sea witch”) register with a capacity of 890 tons, And again success! Sailboat from new York to Hong Kong comes on the 104th day and makes a return flight for the 81st day. His best move-per-day (noon to noon) is 358 miles. The name of the Americans John Griffiths becomes known on the best shipyards of Europe. On the London exchange tea among shipowners starts to panic. Everyone is talking about a new type of sailing boat – American clipper, which would deprive the English shipowners a monopoly of tea trade with China and India… Because according to “the navigation act of 1849,” so-called respectable “British East India company” has lost the privilege to transport such valuable and fashionable product, and the American court to freely come into the London docks with fresh tea… Freight on the transportation of tea from the new harvest are too high – half a pound sterling per tonne! However, the British until 1856 at its shipyards could not think of anything worthwhile to break the speed records set in the oceans clippers Griffiths. These records are broken vessels, built in America by competitors of innovative shipbuilder. Since ancient times, tea was brought from the East to the shores of Albion on ships of the British East India company. The flight of these vessels with a cargo of drink, just harvested from the fields, lasted more than five months. For so long the tea is the product is very expensive, capricious and delicate lose its flavor and absorb the smell of tar, oakum, spoiled corned beef and, most importantly, moist. For quiet running bulky and clumsy appearance, the British dubbed the court of the East India company “tea carts”. 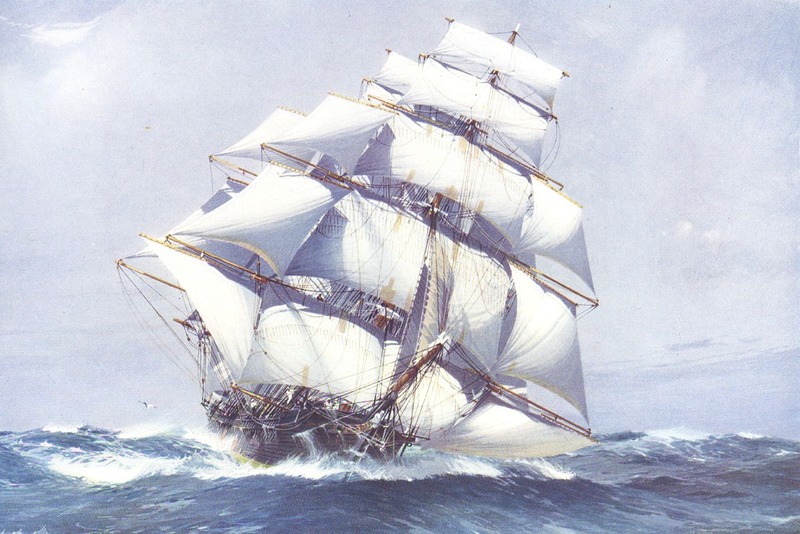 A stunning, unprecedented speed clippers “rainbow” and “Sea witch” made me think not only of the British, have lost their monopoly on the tea trade with China and India, but also of American businessmen, engaged in the opium trade. How profitable to use a small, low capacity, but solely speed boats? What kind of weight will break higher freight rate in the flight from new York to Canton around Cape horn? What is more profitable? Tea or opium? Thus, despite the officially announced to the world the Chinese government ban on the import of opium in 1796, Americans began smuggling the drug trade. In ethical terms, this was little better than slave trade, which in 40-e years of the XIX century is rapidly flourishing on the Atlantic lines and brought considerable profit to the British and American ship owners. American clipper ships bound for China “for tea”, staffed by teams of select, high-paying seamen-adventurers were armed with artillery. The shipowners understood that in this risky business clippers will have to withstand a naval battle not only with the Chinese war junks, but also with the Malay pirates, for which opium is a very valuable commodity. Clippers departing from ports of the Eastern coast of the United States to China and India in the 1840’s and 1850’s, entered the history under the aptly named “opium clippers” (not “tea”, although the return flight back to their holds were really tea). The most widespread clipper as a type of sailing vessel receives from 1847, when the world suddenly flies news: “Gold!! In California found gold!” The second time after the discovery of America humanity shakes “gold rush”. From all corners of the globe in an unknown California for hundreds of thousands of people, drawn to its cherished dream of attaining in life is wealth. From Europe across the Atlantic to new York, Boston and Philadelphia and then West to the shores of the Pacific ocean. Before the gold two ways: land – vans train through the wild prairies, the wide river and the rocky mountains, and the sea, around the treacherous Cape horn, long since having attained notoriety among sailors for its violent storms, reefs and fog. And then I remembered about the new, fast sailing John Griffiths. Shipyards on the East coast of the U.S. the hype began. To imagine shipbuilding fever of the time, suffice it to say that in 1849 from the North-East coast of the United States came chock full of passengers and goods vehicle 242, 218 Barkov, 170 Brigs, 132 schooners, and 12 steamers – a total of 774 vessel. Many of these hastily built ships reached the coast of California: battered and bruised by storms off Cape horn, they were missing. However, one year in the Golden Gate of the ports only light was delivered about 100 thousand passengers. One month from 1850 to the Harbor, the Golden Gate consisted of 17 vessels from new York and 16 from Boston. The average duration of the voyage from the East coast States to California was 159 days. When in harbour, on 24 July, 1850, entered the clipper “sea Witch” (“the Sea witch”), all realized the benefits of his move. He brought the gold miners to San Francisco in 97 days! That is why within five years the clippers had no competitors on this, in fact, the “gold line”. California “gold rush” gave a strong impetus to the construction of the clippers. Freight on goods from new York or Boston to San Francisco by 1850 was established at one dollar per cubic foot. This meant that the clipper with a capacity of 1,200 measurement t earned per flight 72 thousand dollars, that is more his own cost, including the total supply for the campaign and the salary team. That’s why a long, narrow court, carrying enormously long yards, with lots of kinds not covered by any Maritime practice plus sails, rushed from the Atlantic ports of the United States in the direction of Cape horn. Of all flights of clipper ships during the California gold rush was officially registered on 22 voyage to San Francisco around Cape horn, when the transition time was less than 100 days. Seven of them went to the clippers built a then little-known shipbuilder of new York Donald Mac Kay. Clipper “Saveri of de Siis” went into its first voyage under the command of captain Lachlan Mac-Kay – the brother of the Builder of the ship. This man combines the knowledge of experienced shipbuilder and Navigator. He’s also American and British naval circles was known as a born sailing racer. The ship went on a voyage in the month of August, not favorable for sailing in the South Atlantic. 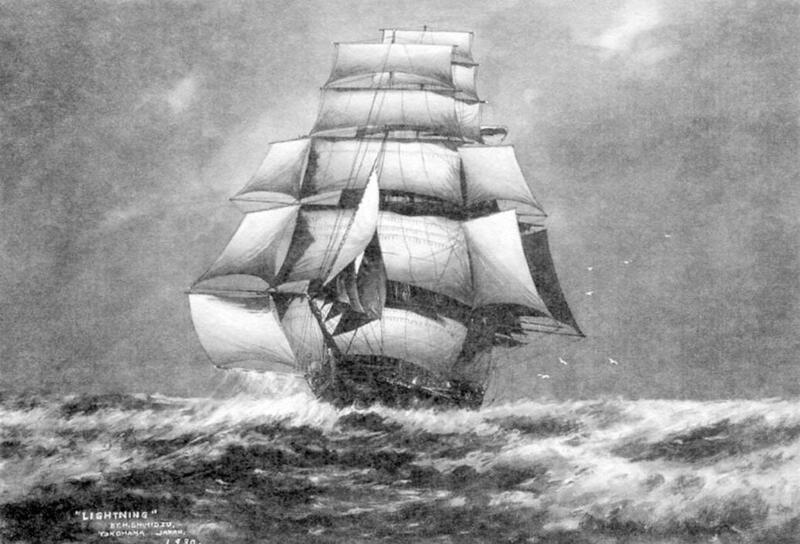 From Falkland Islands to Cape horn, the clipper ship had to break through the counter-a six-point storm. When “Saveri of de the Sims” came to the Cape, the winds came; the ship was lost for-Bram-ray, the main topmast and cruys-bra-Stenka. However, captain Lachlan McKay managed on the twelfth day to replace gone with the storm the mast and safely allow the clipper to San Francisco at the 103rd day. This period was a new record for a sailing vessel at this time of year. Landed on the coast of California gold prospectors, Lachlan McKay took a clipper ship to the Hawaiian Islands. There he loaded the ship with whale oil and whale bone. 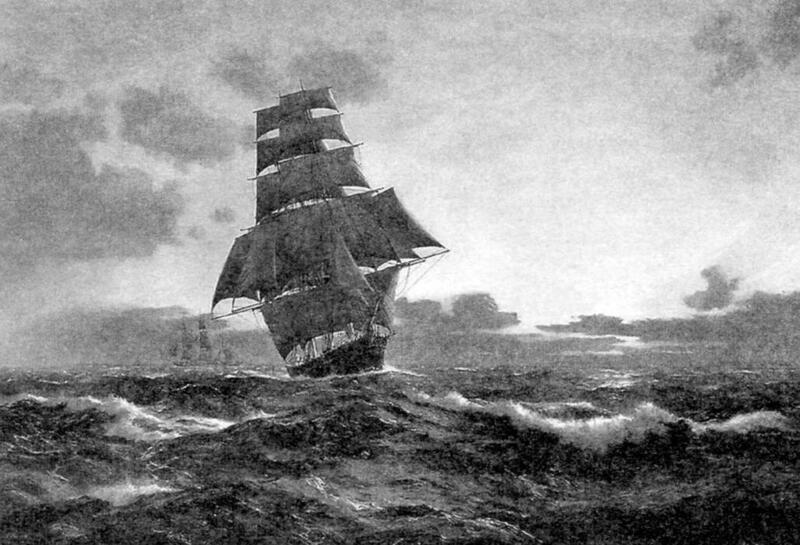 On the way back to the new York clipper was again caught by the storm and lost fore-topmast. The main yard require repair. Despite the fact that sailing the boat was not fully staffed, McKay and this time was able to eliminate the accident and had plotted a course in the area to the North-West trade winds, which reached the force of the storm. This time the clipper went 5390 miles (a quarter of the distance around the earth) for 22 days. It should be noted that this outstanding sailor installed at various stages not one speed record for a sailing vessel. Once, during a crossing from new York to Liverpool he five days bypassed high-speed passenger liner “Canada” (the company “Cunard Line”), which was the winner of the prize of speed for steamers “the Blue ribbon of the Atlantic”. More high-speed clipper Donald Mac Kay was “the champion of de Sims”. This is the ship at the end of 1854 during your first transfer from Liverpool to Melbourne set a new speed record for a sailing ship. From noon 11 to noon Dec 12 Dec 1854 clipper under the command of captain Alexander Newlands went 465 miles. Taking into account the correction for difference of longitude, during the day the ship was at speed greater than 20 knots. Up to the present day it remains unbroken record for a sailing vessel. In 1853 Donald McKay, the fame of which has already walked across Europe, built at its shipyard clipper unprecedented proportions. Its gross registered tonnage has exceeded 4 thousand tons, length – 100 m. On the snap it was a four-masted barque. Until now this ship, which is called the “great Republic”, considered in the history of shipbuilding the largest of the wooden. Donald McKay introduced it one interesting innovation: because of the very large area of the lower sails and the long rays of bramely clipper cut was made. But the Builder never had to experience a new sailing equipment-during preparation for release in the first voyage of the “great Republic” for an unknown reason caught fire. To save the hull of the ship, it had to drown. And despite the fact that after a major rework Rhea made shorter and the sail area reduced, the “great Republic” made the voyage from new York to San Francisco for the 93rd day. Among the best of the clippers built by Donald Mac Kay, should include the “lightning” (“Lightning”) and “James Baines”, named after a Liverpool shipowner, the founder of the company, “black ball Line”. The first of them in the spring of 1855, on the passage from Boston to Liverpool for the day went 436 miles, 19 March 1857 at the transition from England to Melbourne showed the average daily rate 430 miles. No less outstanding American shipbuilders clippers was Isaac Webb, Samuel Pack, George, Raines and George Steers. 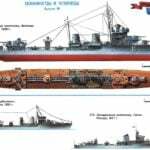 Last known in the history of shipbuilding and as the Creator not only of excellent clippers, and a Navy pilot bots for new jorkskogo the port and the famous yacht “America”. The best clipper of Stairs is considered the “Sunny South”. Although he was relatively small-only 700 tons – and he was not able due to unfavorable circumstances, to set any official speed record in America was not a single clipper, which he had not overtaken in the joint float. Similar in lines to the boat, “Sunny South” was one of the elegant sailing ships of his time. 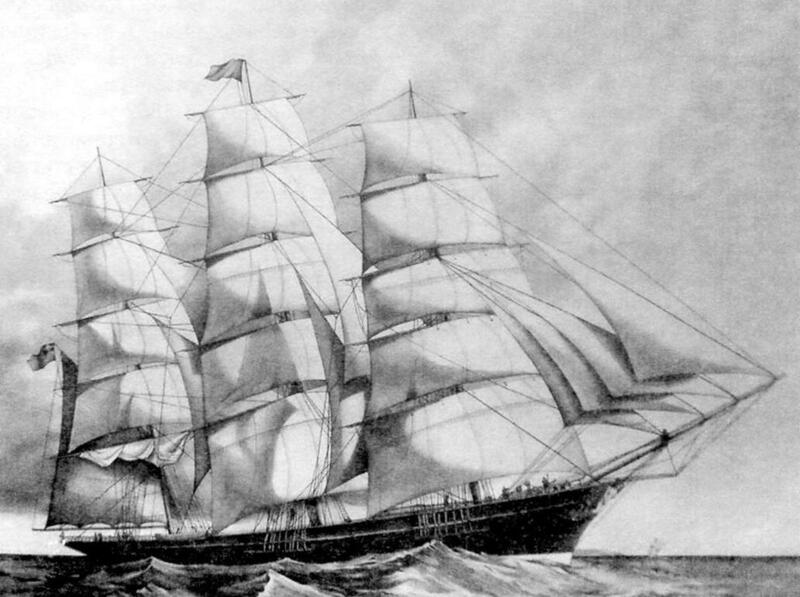 In 1858, the clipper was bought by the Chileans and called “Emanuela”. Within two years it was used by the slavers. 10 Aug 1860 in the Mozambique channel, the ship was detained by the British military ship “brisk”. The wind has stripped the clipper running. During a search of the holds found 850 slaves. The ship was confiscated and turned over to the British authorities in Cape town under a floating warehouse. 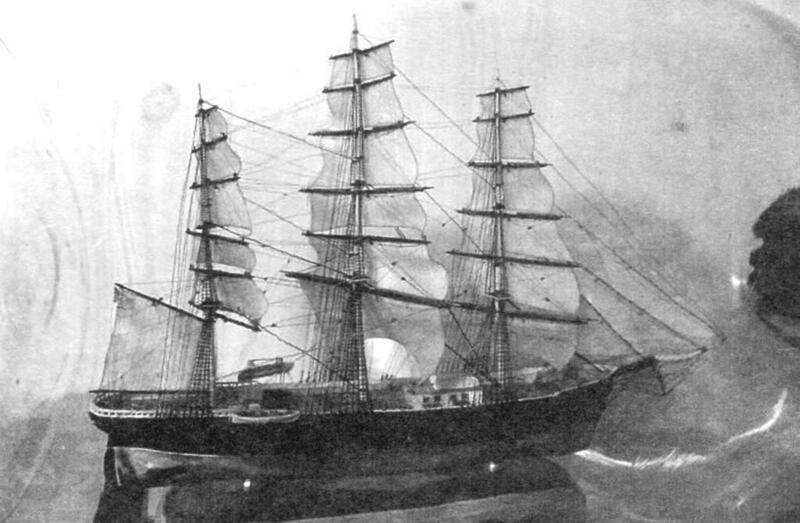 After a few years the famous clipper, built by George SteerCom, burned by an accidental fire. The British, long accustomed to consider themselves the representatives of “mistress of the seas”, could not remain indifferent to the success of American shipbuilders. The challenge of the British was officially abandoned by the Yankees back in 1850, it so Happened that chartered the London tea merchants, the American clipper Oriental came from Hong Kong to England on the 97th day. This caused a real sensation. Realizing that the design of the ship lies a secret, the British Admiralty sent representatives to the dock where he stood, and arrived clipper, sizing and sketching of contours. It was then that the English shipbuilder and owner of the shipyard, which built the famous “black-orlovskie frigates”, Richard green, told the times: “We, the British shipowners finally decided to start a fair and open game with the Americans, and, I swear to God, we will win!” Thus began this contest in speed, that has added a lot of dramatic pages in the history of navigation. The period of time between 1850 and 1870 in the history of navigation was marked by fierce competition between the young capitalism of the USA and the old capitalism of England. Powerful once on the sea, Spain, Portugal and Holland in the ocean transportation no serious role. Russian, Italian, Austro-Hungarian, Danish, Swedish and Norwegian merchant fleets of seagoing vessels in its infancy. France, Turkey, Greece and Germany were restricted to cabotage. In a tense struggle for the speed of transport of the palm first came to Americans. Their clipper-built ingenious shipbuilders Griffiths, Mac-Kay, Webb, SteerCom and others, not constrained in their projects no routine restrictions, have gained international fame. Made of soft pine wood, they were designed for two-three flights in conditions of stormy navigation round Cape horn and did not differ durability. But since they cost cheaper than the English clippers and was more fast, it pays for itself. The British were not able to build such ships was lost to the Americans. Broke out in 1852, the gold rush in Australia began to shake Australians and the British as well as Americans four years before California was shaking. The Australian ports of Melbourne and Sydney were deserted, their residents, along with visiting hunters went inland in search of gold. To transport an army of thousands of prospectors Liverpool shipowner James Baines left his fleet of magnificent clipper ships built by Donald Mac Kay. Knowing the incomparable advantages in speed of American sailing ships, and not wanting to lose the glory of the dashing riders, the best English captains passed into the service of the Yankees. Basically they set a new record on the transition from England to Australia. Then the famous English captain Forbes brought the American clipper “Marco Polo” from England to Melbourne with 930 passengers on Board for 68 days. To the shores of Albion, he returned on the 76th day. Two years later he received the command of “Lightning” that brought this ship from Liverpool to Melbourne on the 76th day, showing the time of a reverse transition is 63 days. This transition remained a record for a sailing boat for 15 years, until the famous clipper “Thermopylae” was not completed this swim for 60 days. Such a stunning speed flight clippers provides not only elaborate contours of the hulls and sail plans, but also a desperate crossing of the sails. Many captains, such as Robert Waterman, had a special fixture to lock the castle of Mars, and Bram files to no “of the nervous assistants” under no circumstances could not give the sails or reduce their area without permission. The sail area of the clippers was huge. This was achieved through the installation of the fifth and sixth series of direct sails on all three (sometimes four) masts and extra sails – all kinds of lisala, Taxila, ringtales, waterdale, cleaver-topsala and boneto. Ocean crossings clippers for 10-15 thousand miles, desperate race between them often lasted for three months, demanded from the captains a great knowledge of all branches of Maritime Affairs, the peculiarities of his vessel and area of navigation, not to mention alertness, iron nerves and good health. The clipper captains used different methods for setting the record ocean crossings. The ones doing the basic calculation for a favorable wind and current, the other chose the shortest way, “cut close corners”, ventured by night to pass through narrow Straits between Islands and reefs. 40 – 50-ies of the last century, during the two “gold rushes”, the clippers from new York to San Francisco or from Liverpool to Melbourne and back was a round-the-world voyage. In the first case, if the court had not received for immediate delivery in new York a shipment of gold, they walked from San Francisco to China or India and out of there with a full cargo of tea back to America, around the Cape of Good Hope, and in the second, bringing gold seekers to Melbourne, clipper received a valuable shipment of placer or fleece and returned to England around Cape horn. Thus, many captains of clippers in a relatively short period of time made in length more than ten voyages round the world, and the English captain Will in 44 years of the command of sailing vessels on the Australian line circled the globe 36 times! The race between the clippers became livelier and more interesting. Between individual ship owners, shippers and captains often to bet. Londoners and Liverpool residents have done before such races bet on horse racing. 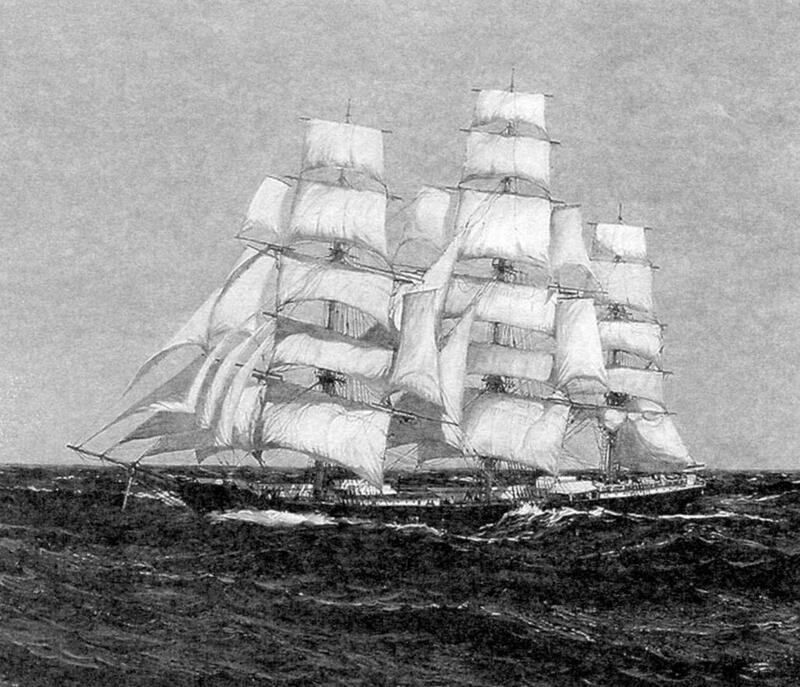 The first British clipper ships that could compete in speed with the American “greyhounds of the ocean”, was “Challenger”, “Northfleet”, “Lord of the Isles de”, “Stornoway” and “Chrysolite”. They were built in Aberdeen by the firm of “hood and Hall”. Their rated capacity does not exceed 1000 t. In contrast to the American clippers, which were built with the expectation of stormy crossings, the English went better with light breezes, better maneuvered and operated as a yacht. The rivalry between American and British clippers came to an end in the early 1960-ies. In the US, the demand for clippers stopped due to the completion of the transcontinental railroad. Besides, over the “gold rush”, was built a large number of ships, and operation of expensive clippers to conventional coal and forest lines were unprofitable. During the civil war many of the clippers were turned into military cruisers and even more sunk. About the destruction of their rivals were not slow to take care of England, which supported the war in the South, supplying them military fast steam frigates. Only one cruiser “Alabama,” built and armed for southerners in England, captured and sank about a hundred North American vessels. After the civil war to replace the wooden clippers Griffiths, and Mac-Kay, which brought millions in profits to their owners, was already a new fleet of English steel and composite clippers. *The word clipper (CLIPPER) American etymology. It comes from the phrase “clip”, which means “to move rapidly, to fly on wings”. Compared to high speed sailboat the word clipper was introduced in America in the 1820-ies. First, this term was applied only to the fast Brigs and schooners built in Baltimore.